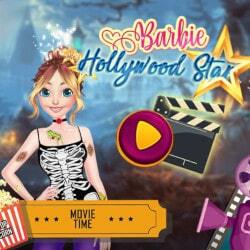 Play this new game to help Barbie make a potion that turns her into a mermaid then style her up! 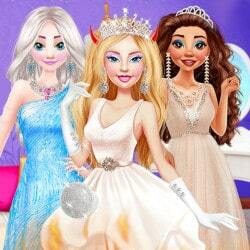 Barbie plans to make a secret surprise visit to her friend, Ariel, in the mermaid’s underwater kingdom. This means that Barbie needs to become a mermaid and she knows exactly how. Ariel gave her specific instructions on how to prepare a potion, so you need to help Barbie Find the ingredients on the bottom of the sea first, then help her add each ingredient to the pot and mix the potion. Once turned into a Mermaid, Barbie wants to look beautiful when she arrives at Ariel’s castle so you need to give her a makeover. Start with Barbie’s hair and style it up a bit. You can even change the color of her hair. Next you have to choose a top and decorate her fin. 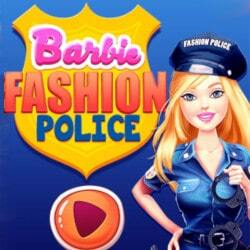 Make sure to accessorize Barbie’s mermaid look too. 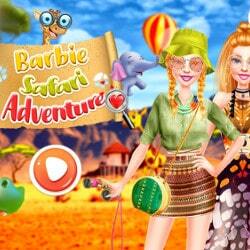 Barbie Dazzling Mermaid is an Barbie mobile game and it’s playable in browsers such as Safari and Chrome. You can play the game on smartphone and tablet (iPhone, iPad, Samsung, Android devices and Windows Phone).